Some general principles for approaching the topic of knowledge transfer and science transfer. We are all familiar with stories of the daring voyages of discoverers and researchers who braved the seas and severe privation in the service of truth and enlightenment. The title of this article, “Knowledge Transfer and Science Transfer”, and the fact that it is included in the “Europe and the World” thread may conjure up similar images but hopefully also the counter reaction: these clichés, which are deeply rooted in the cultural memory of Europe, have lately been fundamentally questioned and replaced by more nuanced concepts of knowledge transfer. On the one hand, this article sketches the history of this change; and, on the other hand, it offers some general principles for approaching the topic of knowledge transfer and science transfer. The article not only discusses the relevant concepts and the historical delineations associated with the topic, but provides a broader perspective including diverse phenomena of knowledge transfer which go beyond the more limited concept of “science transfer”. As the primary impetus for more recent literature on the topic, postcolonial theory and its methodological implications are also discussed. Here George Basalla’s model of knowledge transfer is taken as the starting and focal point. Knowledge transfer and science transfer are ubiquitous processes, which can be identified in almost all temporal and spatial contexts.1 For example, a history of knowledge transfer could begin roughly 10,000 years ago with the early phase of the Neolithic Revolution (that is, the transfer of knowledge of the production methods involved in crop cultivation and livestock farming)2 and continue up until the present day, including examples as varied as the internationalization of research practice or the use (and exploitation) of indigenous knowledge in commercial, ethnopharmacological knowledge transfer.3 Between these poles are transfer processes as varied as the Asiatic-European knowledge exchange in Hellenism,4 knowledge transfer in pre-Columbian America,5 the ideal of a European republic of scholars in the early modern period,6 as well as the export of the European sciences in the context of colonialism.7 Among the classic “sites” of the historical study of knowledge transfer are the research voyages of the early modern period, the Jesuit order and its worldwide networks, the promotion of science by empires and nations, as well as the central importance of trade for colonial knowledge transfer. In terms of disciplines, the focus has primarily been on cartography, technology and medicine, as well as the botanical study of medicinal plants and plants suitable for cultivation as cash crops. However, given the ubiquity of forms of knowledge transfer, this selection of topics and disciplines is by no means the only possible selection; rather it reflects the interests and perspectives of the researching historians. This highlights the methodological problem that a comprehensive universal history of knowledge transfer is not a realistic goal, and the selection of specific case studies is itself dependent on changing historiographical trends. For example, early studies on knowledge transfer were predominantly limited to science transfer, which was understood as the export of the modern European sciences to “non-scientific cultures”. Accounts glorifying the achievements of the great research voyagers predominated initially, while the focus shifted to institutional and political aspects of the export of European science from the 1960s. Theoretical developments – in particular, post-colonialism – have since led to another shift in perspective, and present-day research pays increased attention to indigenous forms of knowledge, as well as connections between indigenous and European knowledge systems. Thus, a complex picture emerges, in which the thematic extent of knowledge transfer and science transfer varies depending on historiographical interests and standards. The close connection between historical research on the transfer of knowledge and science and methodological debates results from the ubiquity of such transfer processes and from the necessity of placing the selection of specific case studies in historical context. However, the inevitable conceptual ambiguities that arise hamper communication. Concepts such as “knowledge”, “science” and “transfer” are not delimited in their meaning, and there have been heated debates about the appropriateness of using these terms. Numerous philosophers and researchers of science and knowledge have attempted to establish a typology of knowledge – i.e., a categorization of that which is recognized as knowledge. A comparison of the resulting typologies of knowledge further demonstrates how complex and inconsistent the various phenomena connected with knowledge are. For example, knowledge researchers differentiate between everyday knowledge, practical knowledge, expert knowledge, theoretical knowledge, available knowledge (Verfügungswissen) and orientational knowledge (Orientierungswissen).8 One approach which is often cited differentiates between explicit and implicit knowledge (“tacit knowledge”).9 This concept has proved productive for the discipline of knowledge research because it enables one to challenge concepts of knowledge as a purely rational and cognitively fully communicable consciousness. In spite of this, most approaches to the history of knowledge focus on knowledge which is defined, systematized and presented as such – as knowledge – within a society at a particular point in history. The more consciously and abstractly it is formulated, the more likely it is to be considered knowledge. This also makes it easier to use concepts that express the idea that knowledge must be understood as being embedded in larger contexts: concepts such as knowledge order, knowledge regime, episteme and knowledge system also imply that these contexts may include power effects and centralization effects. In contrast, concepts such as stock of knowledge (Wissensbestand), knowledge storage and knowledge acquisition imply an understanding of knowledge as a resource. With the emergence of post-colonial theory, it is also becoming clear that the historiography of science transfer cannot be separated from a general history of knowledge. Such a separation would not only lead to a restriction of perspective and remove numerous indigenous knowledge systems from the purview. In addition, a detailed analysis of the interaction of various scientific and non-scientific forms of knowledge is a prerequisite to understanding classic processes of science transfer. The numerous, well-documented influences which indigenous knowledge systems exerted on colonial sciences are examples of this (see sections 3 and 4). The variety and complexity of the conceptual difficulties illustrate once more that the historiographical representation of transfers of knowledge and science must historically contextualize its own selection of case studies and its conceptual assumptions. This has been done in detail in relation to approaches which understand knowledge transfer primarily as science transfer in the sense of the export of the modern European natural sciences. The next section deals with this European science export as an episode in the history of knowledge transfer and as the site of central methodological controversies. Science Transfer as European Science Export? 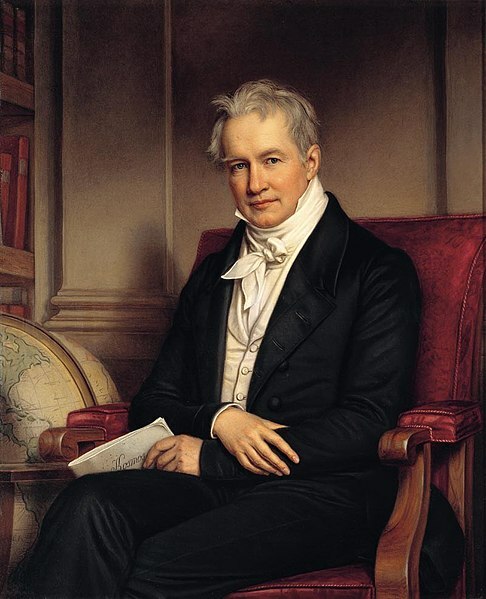 Even today, some historical discussions of science transfer processes employ the cliché of the great exploring expeditions: in the service of truth, heroes of European scientific history, such as Charles Marie de La Condamine (1701–1774) and Alexander von Humboldt (1769–1859), braved the most extreme privations in territories beyond Europe in order to subsequently present their revolutionary discoveries at home in Europe. These epic depictions thematize science transfer along a clear line of delineation between the European centre and the non-European periphery. 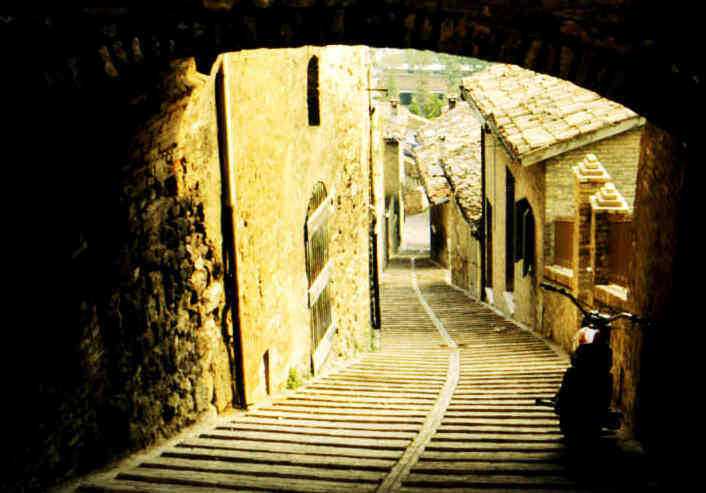 Europe functions not only as the political, but also as the epistemic centre of the world. The voyaging researchers are famous for bringing the European sciences into the most remote corners of the periphery. The fact that their discoveries were often based on the acquisition of indigenous knowledge was ignored. This diffusion process, he further claimed, could be subdivided into three phases, though these phases could not be assigned to particular time periods in a universal way, given that the colonial empires did not develop in a uniform manner. According to Basalla, the first phase was characterized by the exploring expeditions of European scientists, who applied their established scientific methods to a new environment and, in this way, generated new knowledge. This phase can be identified in very diverse geographical and temporal contexts, according to Basalla. While some regions had already been “discovered” by voyaging researchers in the early modern period, this process continued into the 20th century in the case of the German colonial empire, for example. In addition to temporal variations, the geographical centres of science transfer also changed; for example, in the 19th century, the cities on the American east coast themselves became centres and served as the departure point for exploring expeditions. In the third and final phase, according to Basalla, a separate and independent scientific tradition emerged; the periphery itself became a centre, which participated in reciprocal exchange with other centres. 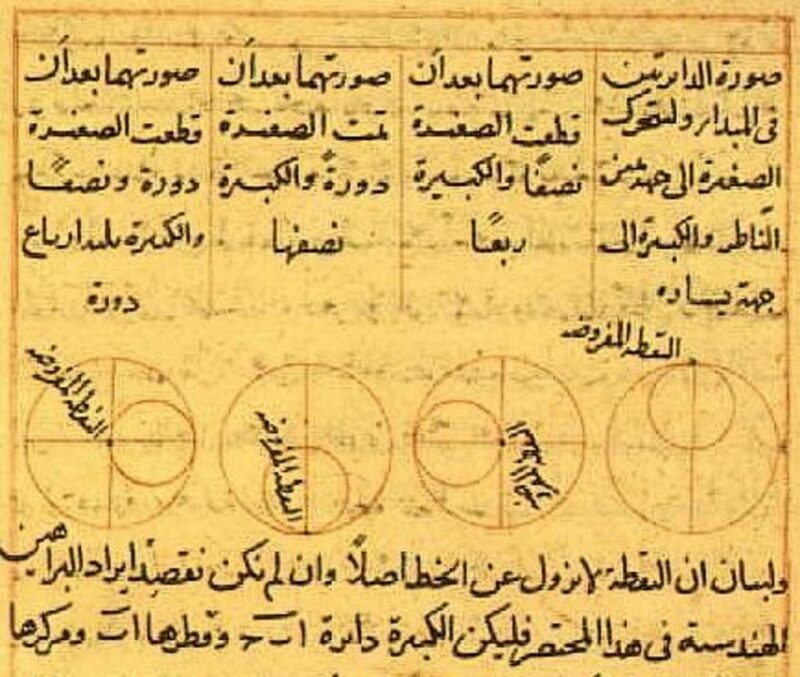 However, by “separate and independent” Basalla did not mean autonomous with respect to the western scientific tradition; on the contrary, he meant the successful adoption of that tradition. According to Basalla, a series of criteria had to be met before this could occur. For example, cultural resistance to the scientific method had to be overcome, and national institutions for research and education had to be established. Basalla discusses the example of Confucianism in China, which – in his view – prevented the development of a modern scientific tradition until the late 19th century. In relation to India and colonial scientists, Venni Venkata Krishna identified at least three different archetypes for the period 1876 to 1920.21 The first was the “gate keeper”, who was predominantly of European descent and exercised institutional control over the colonial practice of science. The second, the “scientific soldier” was the colonial scientist, who, having come from Europe in most cases, performed scientific work, but was less involved in the administrative control of colonial scientific practice. The third group emerged as a result of the emergence of Indian nationalism and, in contrast to the first two, overwhelmingly contained people of Indian descent. The development of science in colonial India can only be understood on the basis of an analysis of these three archetypes and the socio-political structure; in particular, the transition from Basalla’s second phase to an independent scientific tradition must be viewed in the context of the nationalist ambitions of the third group of scientists. 3) Indigenous knowledge. The diffusion model ignores indigenous knowledge. The European sciences are exported until, in the last phase, they have been fully established and have thus become independent of the old centres. The importation of knowledge into Europe only occurs to the extent that – in the first phase in particular – the European sciences are applied to a new environment, resulting in the production of new knowledge. More recently, research has emphasized the complexity of transfer processes in the colonial context.22 The history of cartography provides an example of this, with the image of the European cartographer working completely independently being challenged in a number of contexts, such as North America,23Latin America,24 Napoleonic Egypt,25 and, more recently, India.26 For example, the map of India created by the British geographer James Rennell (1742–1830) set new standards in cartography and was superior to all contemporary maps of the British Isles. Rennell stated that he largely received the necessary geographical knowledge from Brahmans. Thus cartography in colonial India cannot be disregard as a purely European product. 4) Normative starting conditions. The complete disregard for indigenous knowledge which manifests itself in many works on science transfer is indicative of the image of the European sciences as the universal and epistemologically superior system of knowledge. For example, the science historian Lewis Pyenson already referred to above has argued in relation to French colonialism in the first half of the 19th century that the “exact sciences” may have been used for political purposes, but that they were largely independent of socio-political influence in terms of their universal theoretical content and must therefore be considered a positive “civilizing mission”.27 Numerous other publications are informed by similar opinions, even though the topic is being dealt with in an increasingly sensitive manner. 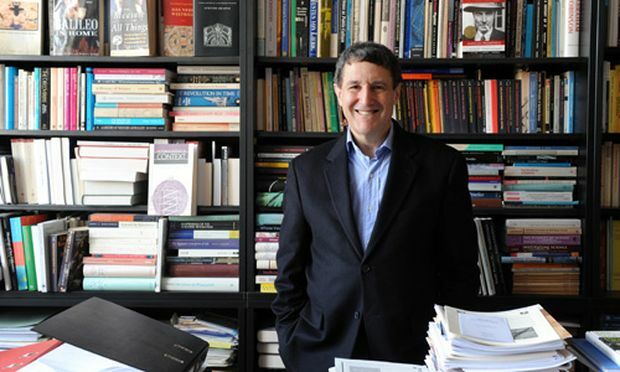 While Said’s critique is certainly important, some of his theses – particularly the hegemony of the European Orientalism discourse – remain controversial. While there is little doubt that efforts to establish such a hegemony and mechanism of exclusion did exist, it is less clear how dominant colonial discourses really were and how much significance should be attributed to non-hegemonic discourses. In particular, the Subaltern Studies Collective, a group of south Asian scientists, called for the reconstruction of marginalized or subaltern forms of knowledge in order to enable critical reactions to a European discourse hegemony. This approach did not remain unchallenged. 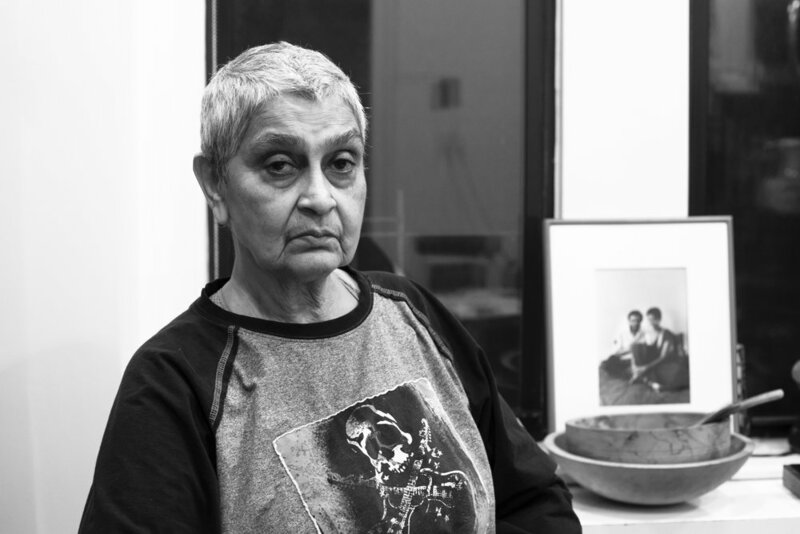 In her influential essay, Gayatri Chakravorty Spivak (born 1942) criticized the assumption of the Subaltern Studies Collective that marginalized forms of knowledge could be reconstructed more or less without problems.31 According to Spivak, this assumption fails to recognize the mechanisms that not only excluded subaltern perspectives from hegemonic discourses, but also from archives and other documents. The result, according to Spivak, was a fundamental speechlessness of subalterns and, in particular, women, who were subjected to a double marginalization in colonial contexts. 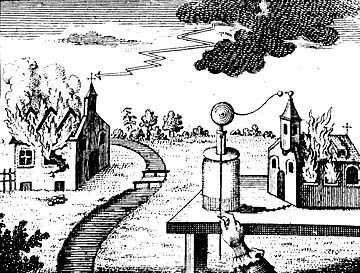 In spite of continuing controversies,35 the currents described above led to a reorientation of debates about science transfer and of historical-empirical research on this topic. There is no longer a thematic focus on the unidirectional export of European science and technology or on the discovery and exploitation of natural resources outside Europe. Instead, the focus has shifted to the variety of reciprocal influences between different knowledge systems. The classic narrative of science export has in general been replaced by specific case studies which investigate complex transfer processes in specific historical contexts.36 Such a reorientation also requires a considerable expansion of concepts. From a postcolonial perspective, science transfer cannot be isolated from general knowledge transfer. Restricting oneself to “science transfer” not only excludes indigenous knowledge, but also prevents one from seeing the processes of interaction between knowledge systems. As demonstrated above, postcolonial approaches have called into question the classic narrative. It is possible to go further and view knowledge transfer as a ubiquitous phenomenon, and not just a phenomenon relevant to colonialism. There have been numerous empirical studies dealing with knowledge transfer that at first glance appear to have little in common with the narrative described above or challenges to that narrative. From the perspective of historians, of course, we are interested in far more than this: specifically, transfer processes of varying dimensions and types between completely different levels, groups and areas of society, and not just around the globe, but also within nations, regions or in a narrowly defined place. Thus, to take an example from the private sphere, even family upbringing, the passing-on of everyday knowledge about society and environment from one generation to the next, can be considered knowledge transfer. All systems of education and training can be thought of as institutions of knowledge transfer. Knowledge is transferred between different professional and expert groups – for example, between different academic disciplines or institutions,41 between doctors and health insurance companies – as well as between social classes, such as in educational programmes for the lower social classes. The efforts of academics in the 19th century to teach the rural population about “correct” methods of cultivation as well as how to process and market their agricultural produce in an “economically profitable” way represent attempts (which the initiators usually subsequently considered to have failed) at knowledge transfer. The endeavour to transfer knowledge becomes particularly apparent in all attempts to popularize knowledge, which see experts attempting to influence lay people or scientists attempting to communicate their findings to society. Consultancy activities – from political advisors to the service sector – are also part of the transfers between experts and non-experts. In addition to the narrative of the great exploring expeditions, an internal European phenomenon has profoundly shaped the European concept of knowledge transfer: the “republic of scholars” in the early modern period.42 An understanding of knowledge as mobile, non-place-dependent and connecting developed early on in the context of new institutions of learning, the academies, and their communications media, the academic journals, but in particular due to the intensive and far-reaching correspondence network of scholars. This ideal of scholarly communication was only contextualized in science history later on; for example, in this idealized concept, the colonization of regions beyond Europe was for a long time considered as merely an extension of the correspondence network beyond the European continent. Of considerable relevance are the respective techniques of transfer and their history. From verbal to electronic communication, the communications media – writing, print, telecommunications etc. – have profoundly affected the conditions of knowledge production and knowledge transfer, as well as the knowledge content.43 All these attempts at transfer have one thing in common, they endeavour to overcome a divide between different groups of people, be that divide geographical, educational or social.44 However, divides are not ordained by nature; they are constructed and they have a history. Attempts at knowledge transfer do not only occur in the context of these divides, they also influence these divides; sometimes strengthening them, sometimes weakening them. Empirical studies which ignore this aspect run the danger of reinforcing these effects. However, at both the macro-historical and micro-historical levels, and regionally as well as globally, the danger exists – due not least to the type of sources available – that the focus will predominantly be on transfer processes which occurred from a dominant “knowledge centre” to areas in which a knowledge deficit was believed to exist. And, in the case of studies that are more regional in nature, processes of negotiation and struggles for hegemony in an area of knowledge must be taken into account.45 For example, the history of midwifery knowledge in the 18th and 19th centuries is an example of the assertion of the epistemic hegemony of academic medicine in the area of childbirth. However, everyday knowledge, patients’ knowledge of their own bodies and practical knowledge about midwifery were also incorporated into the – more deliberately and theoretically formulated – expert knowledge.46 The practical knowledge of experts in non-academic professions – such as tradesmen, farmers, instrument makers and technicians – found its way into the body of academic knowledge as a result of the varied processes of cooperation, input and assistance which these professionals provided to academics. Thus, even transfer processes within Europe, within individual states or even within small defined regions, can be complex, multi-layered and multifaceted, when one considers all the aspects that can be included and analysed under the heading of knowledge transfer. If one observes the same broad spectrum of transfer processes with regard to relations between Europe and the colonies, a number of additional dimensions of complexity arise. In many pre-colonial societies, there were institutions of education, division of labour and communication between different professional groups, and sophisticated media of knowledge transfer long before the European colonial powers arrived and attempted to implant their forms of knowledge transfer.47 This becomes particularly apparent in the example of medicine. Systems of health care and traditions of knowledge about medicines always belonged to the basic aspects of human coexistence; in pre-colonial societies, the authoritativeness and dissemination of medical knowledge was in most cases strictly controlled. Knowledge transfer in the colonial context can mean many things: the acquisition of “useful knowledge” by the colonizers, colonial education systems, the interest of the colonial state in acquiring data on the colonized population, or the emergence and reshaping of scientific disciplines in the colonies. The conditions of knowledge transfer of the native population must be taken into account in all cases. A symmetric view of the constellations of knowledge transfer enables us to critique the one-sided, narrow focus on the European side, although it must not be forgotten that the constellations themselves have been influenced by asymmetrical power relationships. Additionally, it is necessary to differentiate between regions because colonial knowledge transfers were characterized by different emphases in different regions of the world.48 India is without doubt the best researched arena of colonial science. Here the British colonial power encountered numerous complex, interconnected knowledge traditions and sought decisive support for their rule particularily in the area of knowledge about population and territory. Around 1900, the focus in many African colonies was primarily on knowledge about nutrition, health, manpower and ecology. In the case of settler colonies such as Australia and New Zealand, in which conflicts over property ownership with indigenous populations were commonplace, there was a corresponding need for knowledge that would make settlement easier. Consequently, the disciplines required to research these various aspects in the interests of the respective colonial powers were not considered to be equally important in all regions, and did not always receive the same fundamental transforming and initiating role. This brings us to a further differentiating aspect: the disciplines themselves. Knowledge transfers and their conditions vary qualitatively or quantitatively across the various fields of knowledge. This assumption is supported, for example, by the fact that some knowledge – such as that provided by the humanities – is more closely tied to language; it is also supported by the respective object of knowledge. It can be assumed, for example, that European knowledge (that is, knowledge which is denoted as universal) about society in non-European contexts was treated differently to knowledge about flora and fauna or cartography.49 The ubiquity and multi-faceted nature of knowledge transfer means that a partial aspect – such as, for example, knowledge transfer in the areas of the natural sciences – cannot be dealt with adequately if all other forms of transfer are excluded. On the contrary, the history of knowledge transfer is particularly dependent on interdisciplinary focus and communication between the disciplines. In summary, centre-periphery effects in the area of knowledge transfer have been relativized considerably, though their existence is generally accepted. More recent approaches stress the local nature of knowledge and also that it is precisely when different epistemologies come into contact and result in the formation of institutions of knowledge that new knowledge can be produced.55 As mentioned above, models which assume that knowledge can simply be transferred without the knowledge itself being changed in the process are now regarded as problematic. Reference is often made to Bruno Latour’s (born 1947) concept of “translation”. With his concept of “immutable mobiles”, Latour has also called into question the supposed incommensurability of different knowledge systems. Taking the example of the French sailor Jean-François de Galaup La Perouse (1741–1788), Latour has demonstrated how knowledge is transferred between knowledge systems and is “translated” in the process.56 However, the tension between “restrictive locality” and “problemless passage” in particular demonstrates that one must proceed with an awareness of the intricacies of individual cases, and that not all bodies of knowledge are equally amenable to being simply transported from one place to another. We are grateful to Susane Bauer and Uffa Jensen for their helpful comments on an earlier version of this article. Bugh, Cambridge Companion 2006, p. 86. Staller / Carasso, Foodways 2009. See, for example, Mittelstrass, Wissenschaft 1982. 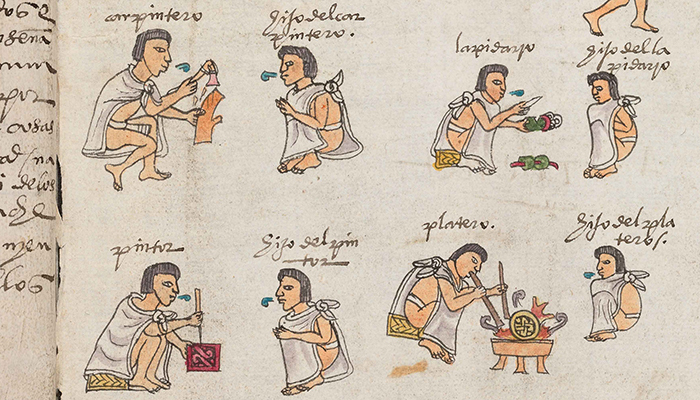 On the history of the emergence of the terms “western science” and “indigenous knowledge”, cf. Elshakry, Science 2010; Tilley, Global Histories 2010. Krishna, Colonial Model 1992, p. 60. Quoted from Guttmann, Games 1996, p. 184. Pyenson, Science 1990, pp. 76ff. ; Pyenson, Civilizing Mission 1993. Terrall, Heroic Narratives 1998, p. 242. Basalla, Spread 1967, p. 611. Raina, West 1999, gives an overview. See Inkster, Scientific Enterprise 1985, p. 686; Raina, West 1999, p. 508, for critiques of Basalla. Basalla, Spread 1967, p. 614. Krishna, Colonial Model 1992, p. 69. Macleod, Visiting 1982, p. 14. Vorsey, Amerindian Contributions 1978; Lewis, Indicators 1986. Pyenson, Science 1990 (especially p. 78); Pyenson, Ideology 1993. For a critique, cf. Palladio / Worboys, Science and Imperialism 1993. Said, Orientalism 1978, p. 40. Ballantyne, Colonial Knowledge 2008, p. 178. Spivak, Can the Subaltern Speak? 1988. For example, Pollock, Deep Orientalism 1993; Arnold, Colonizing 1993. Smyth, Politics 2000; Mishra, Frantz Fanon 1996. Mishra / Hodge, Postcolonialism 2005. Cf. Ballantyne, Colonial Knowledge 2008; Lölke, Modelle 2008. In recent times, a veritable separate discipline dealing with transfer has emerged; see Antos / Wichter, Wissenstransfer 2005. On the international technology transfer in the chemical industry, see Petri, Technologietransfer 2004; Mayntz, Wissensproduktion 2008. Ash, Wissens- und Wissenschaftstransfer 2006, p. 181 (“optimizing the transfer of knowledge from the so-called fundamental research to market-oriented areas of application”, transl. by N.W. ); cf., for example, the influential article by Argote / Ingram, Knowledge Transfer 2000. Cf. Kernbauer, Wissenschaftstransfer 1992 (quoted from Ash, Wissens- und Wissenschaftstransfer 2006, p. 182, “transfer of ‘knowledge, research methods and technologies across state borders'”, transl. by N.W.). Ash, Wissens- und Wissenschaftstransfer 2006, p. 182f. For example, in Reinhardt, Wissenstransfer 2006. On this topic, see the special issue of Historische Sozialforschung vol. 35, 2010 no. 1. Ash, Wissens- und Wissenschaftstransfer 2006, p. 186. Raphael, Verwissenschaftlichung 1996; Vogel, Wissensgeschichte 2004. Long before this, significant knowledge transfers had occurred from non-European regions to Europe, which Western historiography has for a long time ignored or integrated into the history of the European sciences in an teleological fashion; on this, see the special issue of Isis 101 (2010): Tilley, Global Histories 2010. Ballantyne, Colonial Knowledge 2008, p. 185; Schiebinger, Introduction p. 53. On the transfer of social theories, see Keim, Disziplin 2008. Espagne, Transferts 1999; Midell, Kulturtransfer 2000. See the conference “Transfer in Dispute. Controversial Representations of Cultural Borrowings”, Humboldt University, Berlin, 26–28/11/2009, on: http://hsozkult.geschichte.hu-berlin.de/termine/id=11889; http://www.sfb-repraesentationen.de/veranstaltungen/tagungen-und-workshops/konferenz-transfer-in-dispute [03/11/2011]. Ash, Wissens- und Wissenschaftstransfer 2006, p. 181. See, for example, MacLeod, Nature and Empire 2000; cf. Lölke, Modelle 2008, p. 42. Latour, Visualisation 1986; Latour, Science in Action, 1987. La Perouse travelled the Pacific with the task of compiling an accurate map. He integrated the geographical knowledge of Chinese people, who had no physical maps themselves, into his map. The occurrence of similar processes of integration has since been proved in the case of many encounters between Europeans and “indigenous” peoples. Antos, Gerd / Wichter, Sigurd (eds. ): Wissenstransfer durch Sprache als gesellschaftliches Problem, Frankfurt am Main 2005. Argote, Linda / Ingram, Paul: Knowledge Transfer: A Basis for Competitive Advantage in Firms, in: Organizational Behavior and Human Decision Processes 82 (2000), pp. 150–169. Arnold, David: Colonizing the Body, Berkeley 1993. Ash, Michael: Wissens- und Wissenschaftstransfer: Einführende Bemerkungen, in: Berichte zur Wissenschaftsgeschichte 29,3 (2006), pp. 181–189. Basalla, George: The Spread of Western Science, in: Science 156, 3775 (1967), pp. 611–622. Bellwood, Peter: The First Farmers: Origins of Agricultural Societies, Malden, MA 2004. Bhabha, Homi K.: The Location of Culture, New York 1994. Bugh, Glenn Richard: The Cambridge Companion to the Hellenistic World, Cambridge 2006. Brush, Stephen B.: Indigenous Knowledge of Biological Resources and Intellectual Property Rights: The Role of Anthropology, in: American Anthropologist 95 (1993), Washington, pp. 653–671. Cohn, Bernard: Colonialism and its Forms of Knowledge: The British in India, Princeton 1996. Dirks, Nicholas: Foreword, in: Bernard Cohn: Colonialism and its Forms of Knowledge: The British in India, Princeton 1996. Elshakry, Marwa: When Science Became Western: Historiographical Reflections, in: Isis 101 (2010), pp. 98–109. Espagne, Michel: Les transferts culturels franco-allemands, Paris 1999. Gieryn, Thomas: Boundary-Work and the Demarcation of Science from Non-Science: Strains and Interests in Professional Ideologies of Scientists, in: American Sociological Review 48 (1983), pp. 781–795. Godlewska, Anne: The Napoleonic Survey of Egypt: A Masterpiece of Cartographic Compilation and Early Nineteenth-Century Fieldwork, Gutsell 1988. Guttmann, Allen: Games and Empires: Modern Sports and Cultural Imperialism, New York 1996. Harris, Steven J.: Networks of Travel, Correspondence, and Exchange, in: The Cambridge History of Science 3 (2006), pp. 341–363. Inkster, Ian: Scientific Enterprise and the Colonial ‘Model’: Observations on Australian Experience in Historical Context, in: Social Studies of Science 15,4 (1985), pp. 677–704. Keim, Wiebke: Vermessene Disziplin: Zum konterhegemonialen Potential afrikanischer und lateinamerikanischer Soziologien, Bielefeld 2008. Kernbauer, Alois: Wissenschaftstransfer im 19. und zu Beginn des 20. Jahrhunderts, in: Kurt Mühlberger (ed. ): Archivpraxis und historische Forschung: Mitteleuropäische Universitäts- und Hochschularchive: Geschichte, Bestände, Probleme und Forschungsmöglichkeiten, Vienna 1992, pp. 247–256. Krishna, Venni Venkata: The Colonial Model and the Emergence of National Science in India, in: Patrick Petitjean et al. (eds. ): Science and Empires: Historical Studies about Scientific Development and European Expansion, Dordrecht et al. 1992, pp. 57–72. Labouvie, Eva: Zur Aneignung, Bewertungs- und Orientierungslogik von Wissenskulturen in: Berichte zur Wissenchaftsgeschichte 30 (2007), pp. 119–134. Latour, Bruno: Visualisation and Cognition: Drawing Things Together, in: Knowledge and Society: Studies in the Sociology of Culture and Present 6 (1986), pp. 1–40. Lewis, Malcom: Indicators of Unacknowledged Assimilations of Amerindian Maps on Euro-American Maps of North America, in: Imago Mundi (1986), pp. 9–34. Lölke, Ulrich: Modelle einer postkolonialen Wissenschaftsgeschichte, in: Winfried Speitkamp (ed. ): Erinnerungsräume und Wissenstransfer: Beiträge zur afrikanischen Geschichte, Göttingen 2008. MacLeod, Roy: On Visiting the Moving Metropolis: Reflections on the Architecture of Imperial Science, in: Historical Records of Australian Science 5,3 (1982), pp. 1–16. MacLeod, Roy (ed. ): Nature and Empire: Science and the Colonial Enterprise, Chicago 2000 (Osiris 15). Mayntz, Renate et al. (eds. ): Wissensproduktion und Wissenstransfer: Wissen im Spannungsfeld von Wissenschaft, Politik und Öffentlichkeit, Bielefeld 2008. Midell, Matthias: Kulturtransfer und historische Komparatistik: Thesen zu ihrem Verhältnis, in: Comparativ 101 (2000), pp. 7–41. Mittelstrass, Jürgen: Wissenschaft als Lebensform: Reden über philosophische Orientierungen in Wissenschaft und Universität, Frankfurt am Main 1982. Mishra, Sudesh: Frantz Fanon, Aimé Césaire, Roberto Retamar: Estranged and Estranging Bodies; or, Gazing on Caliban: An Essay Against Hybridity, in: UTS Review Cultural Studies and New Writing 2 (1996), pp. 108–128. Mishra, Vijay / Hodge, Bob: What Was Postcolonialism?, in: New Literary History 3 (2005), pp. 375–402. Mundy, Barbara: The Mapping of New Spain, Chicago 1996. Palladino, Paolo / Worboys, Michael: Science and Imperialism, in: Isis 84,1 (1993), pp. 91–102. Petri, Rolf (ed. ): Technologietransfer aus der deutschen Chemieindustrie (1925–1960), Berlin 2004. Polanyi, Michael: Personal Knowledge: Towards a Post-Critical Philosophy, Chicago 1958. Pollock, Sheldon: Deep Orientalism? Notes on Sanskrit and Power Beyond the Raj, in: Carol Appadurai Breckenridge et al. (eds. ): Orientalism and the Postcolonial Predicament: Perspectives on South Asia, Pennsylvania 1993, pp. 76–133. Popper, Karl: Logik der Forschung, Tübingen 1934. Pyenson, Lewis: The Ideology of Western Rationality: History of Science and the European Civilizing Mission, in: Science & Education 2 (1993), pp. 329–343. Pyenson, Lewis: Civilizing Mission: Exact Sciences and French Overseas Expansion: 1830–1940, Baltimore 1993. Pyenson, Lewis: Why Science May Serve Political Ends: Cultural Imperialism and the Mission to Civilize, in: Berichte zur Wissenschaftsgeschichte 13,2 (1990), pp. 69–81. Raina, Dhruv: From West to Non-West? Basalla’s Three-Stage Model Revisited, in: Science as Culture 8,4 (1999), pp. 497–516. Raj, Kapil: Colonial Encounters and the Forging of New Knowledge and National Identities: Great Britain and India: 1760–1850, in: Osiris 15,1 (2000), pp. 119–134. Raj, Kapil: Relocating Modern Science: Circulation and the Construction of Scientific Knowledge in South Asia and Europe: 1650–1900, New York et al. 2007. Raphael, Lutz: Die Verwissenschaftlichung des Sozialen als methodische und konzeptionelle Herausforderung für eine Sozialgeschichte des 20. Jahrhunderts, in: Geschichte und Gesellschaft 22 (1996), pp. 163–193. 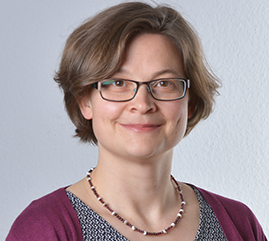 Reinhardt, Carsten: Wissenstransfer durch Zentrenbildung: Physikalische Methoden in der Chemie und den Biowissenschaften, in: Berichte zur Wissenschaftsgeschichte 29,3 (2006), pp. 224–242. Said, Edward: Orientalism, London 1978. Schiebinger, Londa: Introduction, in: Isis 96 (2005), pp. 52–55. Secord, James: Knowledge in Transit, in: Isis 95 (2004), pp. 654–672. Smyth, Gerry: The Politics of Hybridity, in: Ashok Bery et al. (eds. ): Comparing Postcolonial Literatures, New York 2000. Spivak, Gayatri Chakravorty: Can the Subaltern Speak?, in: Cary Nelson / Lawrence Grossberg (eds. ): Marxism and the Interpretation of Culture, Chicago 1988, pp. 271–313. Staller, John Edward / Carrasco, Michael: Pre-Columbian Foodways: Interdisciplinary Approaches to Food, Culture, and Markets in Ancient Mesoamerica, New York 2009. Terrall, Mary: Heroic Narratives of Quest and Discovery, in: Configurations 6 (1998), pp. 223–242. Tilley, Helen: Global Histories, Vernacular Science, and African Genealogies, in: Isis 101 (2010), pp. 110–119. Verran, Helen / Turnbull, David: Science and Other Indigenous Knowledge Systems, in: Nico Stehr et al. (eds. ): Knowledge: Critical Concepts, New York 2005, pp. 345–369. Vogel, Jakob: Von der Wissenschafts- zur Wissensgeschichte: Für eine Historisierung der Wissensgesellschaft, in: Geschichte und Gesellschaft 30 (2004), pp. 639–660. Vorsey, Louis de: Amerindian Contributions to the Mapping of North America: A Preliminary View, in: Imago Mundi (1978), pp. 71–78. Originally published by EGO: Journal of European History Online, 12.12.2011, under a Creative Commons Attribution-NonCommercial-NoDerivs 3.0 Unported license. This entry was posted in Uncategorized and tagged Communication, History, Science. Bookmark the permalink.